The number one GPS toolbox arrived to iOS! 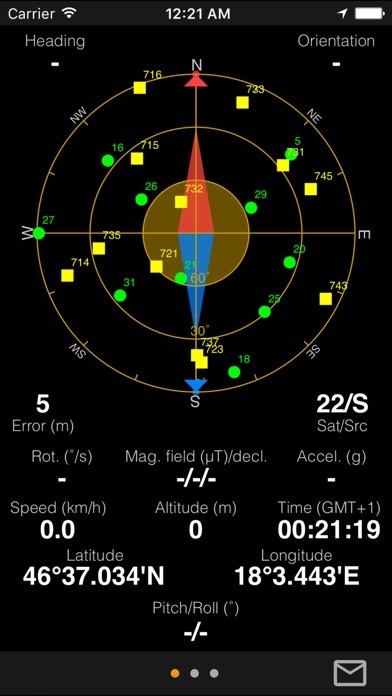 Displays all the GPS and sensor data you ever were curious about: position of GPS and GLONASS satellites, accuracy, speed, acceleration, altitude, bearing, pitch and roll. 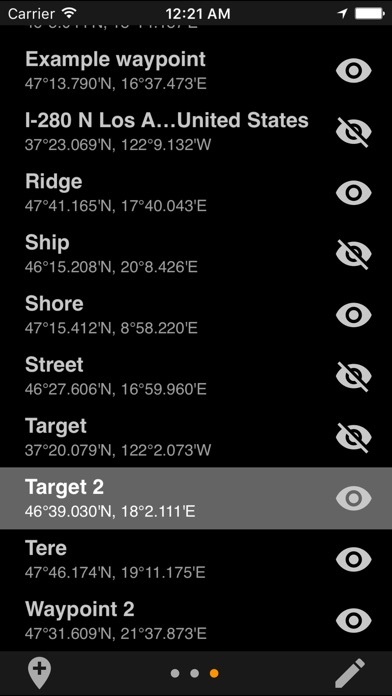 Find and save your locations based on coordinates or actual position and navigate to them later. 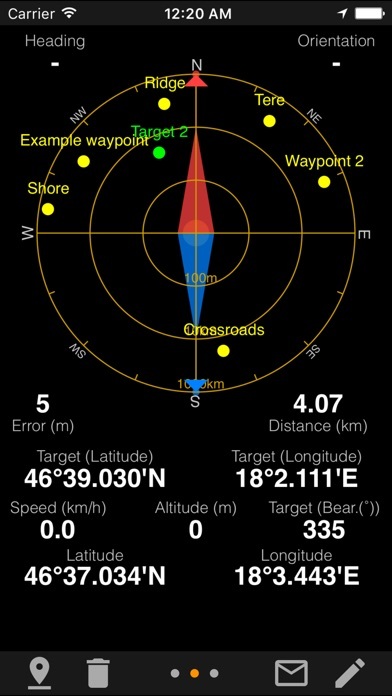 Tools provided: compass with magnetic and true north, leveling tool, waypoints. 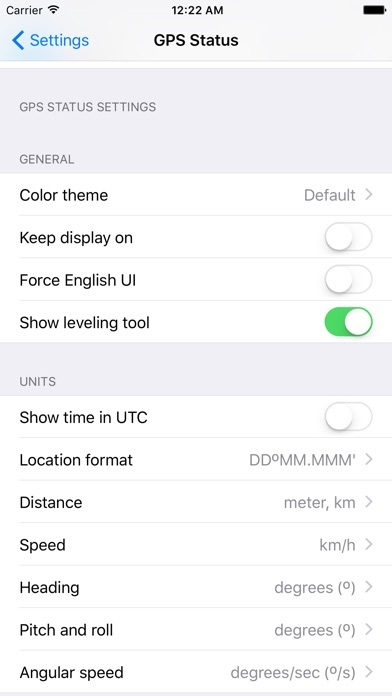 You can mark or share your location using the Radar (especially useful for geocaching or quickly saving your actual position).